An eyesore train depot becomes a community gem. Photo: Chuck Little Photography. In 2015, two local brothers purchased the depot building at an auction, and set out to achieve their dream of opening a brewery “to make beer with friends,” one of them told the local newspaper. Their vision turned into an obsession with saving a vital piece of the town’s history. 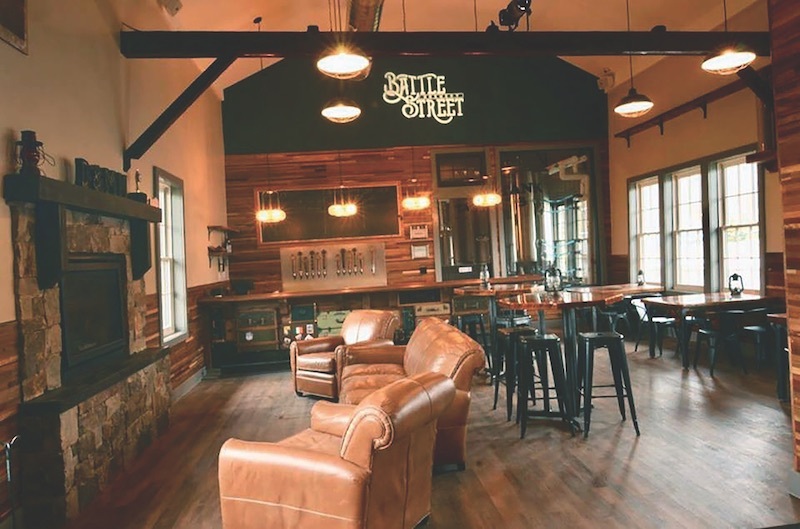 The restoration project involved stabilizing the existing structure to prevent collapse and preserving as much of the existing depot as possible while designing for a modern, seven-barrel brewing operation. The project team used archived photographs and on-site investigation to recreate important pieces, like the original board and batten siding, that were lost over the years. They rebuilt the station’s roof, but meticulously recreated its original uneven eave lines to maintain the historic charm. Inside, the team reused available elements. Existing sliding doors are now tabletops for the tasting room. The bar footrest is made from old rusted rail tracks. The original ticket booth still stands, and vintage photographs cover the walls throughout. An outmoded campus library is a new hub for collaboration. Photo: Sam Fentress/Fentress Photography. 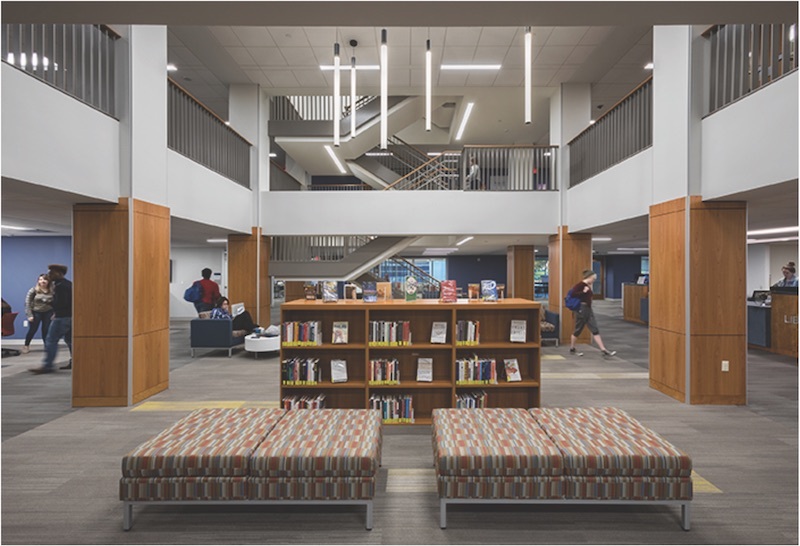 The project, which involved renovating and expanding the school’s Staley Library, creates, for the first time, a unified home for the university’s Performance Learning program. This educational model, designed to jump-start students’ career preparedness, requires that all students “perform” their knowledge before their peers, professors, and the business community. Students work in small teams on project-based learning initiatives, from launching businesses to creating awareness campaigns. Collaboration is at the heart of learning at Millikin. This multipurpose facility combines library and student center functions in highly flexible, tech-enabled spaces. Workspaces and meeting areas surround the perimeter of each floor, and feature flexible furniture, integrated technology, and white boards. Collaboration studios support small-group planning, while tech studios and a media arts center provide hands-on learning. The team utilized the library’s four-story open atrium to streamline circulation (the existing building had a complex network of stairs) and to serve as the hub of the facility. Glass-enclosed meeting rooms were inserted on half levels along the stairway to encourage interaction. Interior glass was used throughout to overcome the hurdle of low, cramped ceilings. A Burnham-designed steam plant gets new life. Photo: Tom Ethington. In June 2003, the steam plant was listed on the National Register of Historic Places. 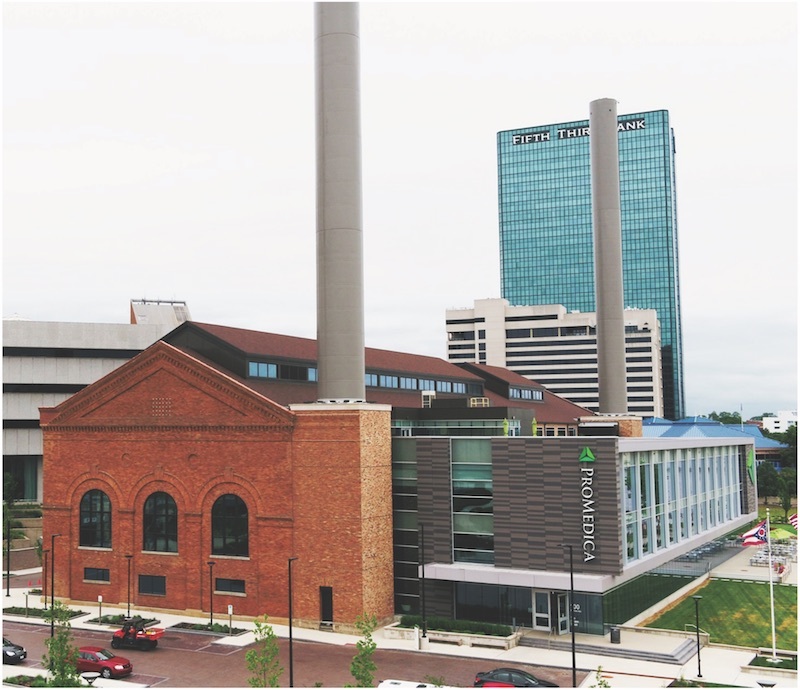 A decade later, local nonprofit healthcare provider ProMedica took on the challenge of restoring the steam plant for use as its new headquarters. 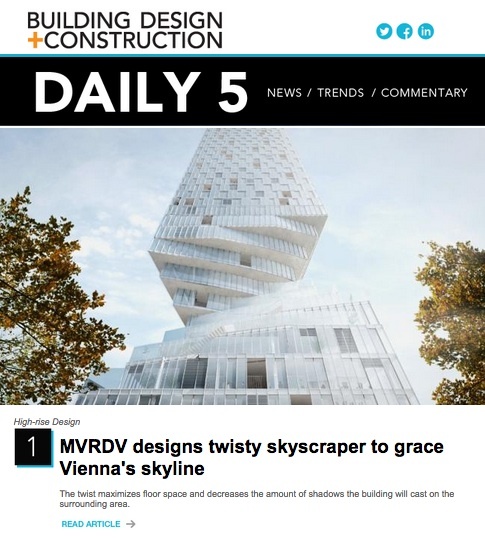 The goal: to create a contemporary, four-story office building inside a single-story, structurally delicate shell, with financial assistance via state historic preservation tax credits. Restoration work involved threading a new structural steel frame throughout the plant while keeping the old red iron support steel in place; rebuilding the slate and clay tile roof; and elevating the building’s first floor above the flood plain of the adjacent river, which called for seven feet of fill to be brought into the existing building. A three-story addition with floor-to-ceiling windows facing the river completed the headquarters campus, which is designed to accommodate more than 1,000 employees. It took a community effort to get this museum built. Courtesy Wende Museum. The armory was constructed to survive a first strike of an atomic bomb dropped on Los Angeles. It includes two above-ground bunkers with walls nine inches thick. The building still has the original air filtration system embedded into the walls.